If you choose to learn Spanish in Palma de Mallorca, you will love the city and the location of our Spanish language school, in a beautiful square in the center of Palma. 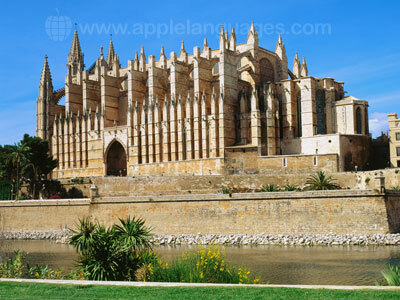 Palma is more typically ‘Spanish’ than many of the holiday resorts on the island. Set on the bay of Palma, the city boasts history as well as sun and beaches, with its 13th century cathedral, old quarter and many squares, lined with orange and olive trees. More recently the city has developed stylish shops and restaurants, which make this a chic place to learn Spanish on a language course at our school. Our Spanish school in Palma de Mallorca occupies three floors of a modern building in the centre of Palma, just minutes away from the tree lined avenue ‘Passeig Mallorca’ and the old town. The school has 14 classrooms, each with air-conditioning. Wife access is available, but the school also have a computer lab which is open before and after lessons each day. 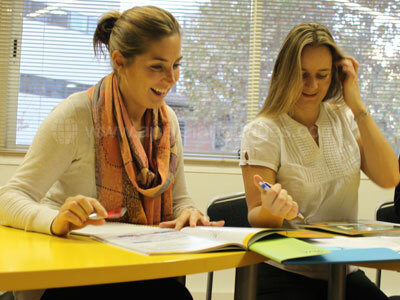 At our Palma de Mallorca school you can learn Spanish on an Intensive Spanish course, with 20 Spanish lessons/week and a maximum of 12 students/class (average 7-10 students/class). As well as the Intensive Spanish course, our school offers a Spanish Club 50+ course, for students in their fifties and above who wish to learn Spanish with students of a similar age. This course includes Spanish language lessons and a full activity program. The school also runs a special 8-day Easter Spanish course. Accommodation for students who learn Spanish at our school in Palma can be arranged in shared apartments, private studio apartments or with Spanish host families. Students who stay with a host family often find that they learn Spanish more quickly, as they can practice with the family the Spanish they learn on their course. Executive host families are also available, where students have a private bathroom. 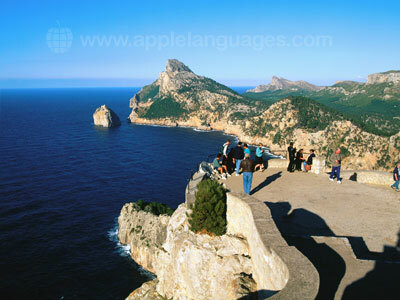 Get to know the ‘real’ Palma de Mallorca by taking part in the school’s optional activities programme! With regular guided visits to local places of interest (such as the Old Quarter, Cathedral and Santa Maria Market), Spanish film screenings, beach trips and evenings out to experience the local nightlife, there will be plenty for you to see and do! Our school in Palma de Mallorca can also arrange airport transfers from Palma Airport for students who want to be met on arrival and taken to their accommodation. Average score for our school in Palma de Mallorca based on 36 previous client reviews. I had an excellent teacher (Maricel) and the course was at the right level for me. There were 7 students in my class and all at different levels . The school has 2 classes....total beginners, and not beginners! The activities were generally very interesting, though 3 visits to contemporary art museums was too much! However, I can thoroughly recommend this course for 50+. I had a great time. The weather was lovely and the students in my class bonded together well as a group. I would definitely use Apple Languages again. My second time on an Apple Languages course and it was engaging, challenging, informative and exactly as expected. only went for 1 week and I would recommend longer to get the full benefit of the tuition. I was initially placed into an A2 class, but found that there were 9 or 10 Italian teenagers in the class whose Spanish was much better than mine! I could see that I was not going to make any progress there, so asked to be moved. I was placed into an A1 class which suited me better, and which I enjoyed and found useful. The staff were all very good - no complaints there. The teacher was excellent and the standard of Spanish and tuition was high. There were some complaints about the number of young Italian students in other classes but the three girls in our class caused no problem other than their standard of Spanish was so much better than the rest of us! On reflection, five days is too short a time to make a real impact on one's ability to speak. The course had a mix of abilities which was good and gave us plenty of time to practise our learnings. It was challenging but rewarding. A most hospitable host who really looked after me and helped me to embrace the culture and Language. Less than 5 minutes to the school which was really convenient and a great cook. I would say that only being able to converse in the language you are learning really adds to the experience. However it may be a little too challenging for some do perhaps should be a little clearer in the information pack. I really enjoyed it very much. I learned a lot. Course very good. Excellent teacher. Good size of class and nice range of activities. Fantastic accommodation, wonderful host and great location. Cannot recommend highly enough! Had the best time doing this course and couldn't have asked for anything better! The location of my accommodation was perfect: very close to the school, restaurants, shops and the beach. The rooms were quite spacious and very clean and people I stayed with in the apartment were very friendly. I thought the course was excellent - there was a good balance of speaking, grammar, writing and reading and the lessons were enjoyable. Our teacher was good and there was a really nice atmosphere in the lessons. I felt that I learned a lot in the two weeks I was there. I was delighted with my accommodation: the lady I stayed with, Carmen Faundez, was very friendly and I had lots of opportunities to practise speaking Spanish. The flat was very nice and the meals delicious! The course was good and I was pleasantly surprised that there wasn't an issue for us being over 50. Enjoyed the course enormously - worked hard and made progress. The course was aimed at exactly the right level, I got a lot out of it. Lovely family, who made us so welcome and spent a lot of time talking to us in very clear Spanish. We learned as much from our family as we did from the school. It was a great experience, as always. I think it is a very nice school to go to and you learn a lot! The teacher we had was very nice and helpful. Very nice people… I had a great time! I thoroughly enjoyed my course and I definitely learnt a lot, the course was quite intensive but the teacher managed to make the learning process fun. I was happy with my accommodation. The teacher delivered well prepared classes. She was pleasant, supportive and extremely helpful. All in all a delightful experience. I found the course very useful, learnt a lot and found it very enjoyable. The teacher made me feel comfortable and relaxed. The course was very enjoyable and taught at a good pace. 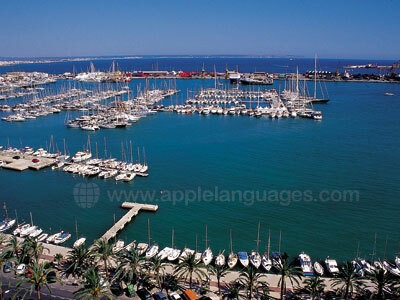 The staff were excellent and the school was in a very good location, right in the centre of Palma. The teachers were very enthusiastic and adapted well to the different levels of Spanish that the individual class members had, they kept the lessons interesting with games and practical exercises. Very enjoyable classes. My teacher made everyone feel relaxed and made the the lessons a lot of fun. My host family were very friendly and welcoming and their apartment was excellent. I would definately go again and for a longer period.